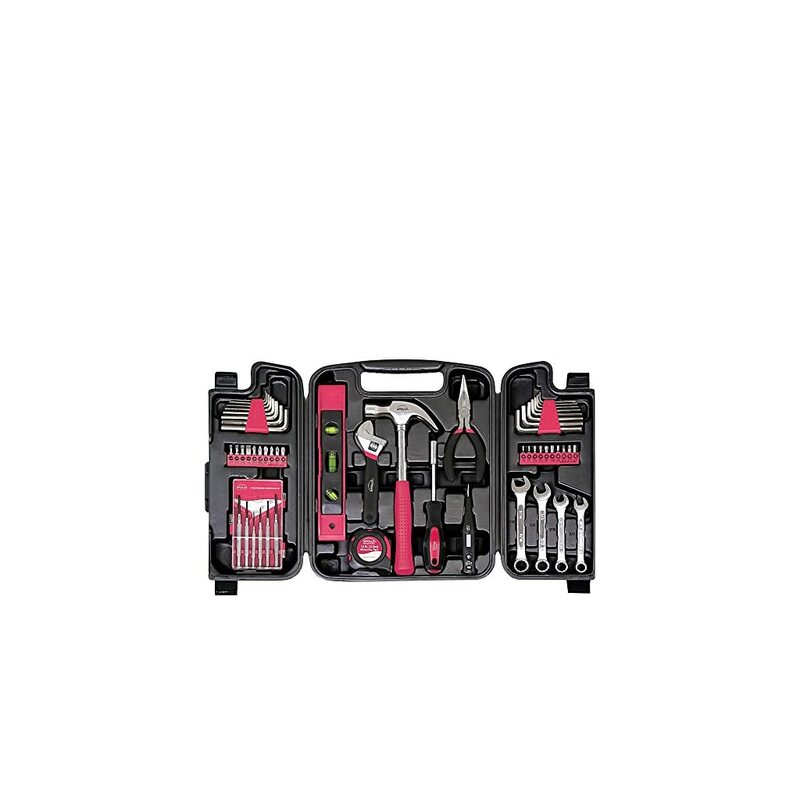 This 53 piece household tool kit contains all the tools necessary for most household projects. Tools are heat treated and chrome plated to resist corrosion, and are contained in a sturdy blow molded case with a built in carrying handle for convenient storage. 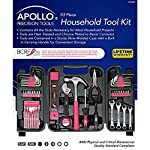 Apollo Tools, Ltd is donating 0.75from this purchase to The Breast Cancer Research Foundation. BCRFs mission is to advance the worlds most promising research to eradicate breast cancer in our lifetime. For more information about BCRF, visit www.bcrfcure.org.